Good things come in pairs, it seems, as it's been announced that Marvel's Silver Sable and Black Cat will be getting their own film. Variety reports that Sony has their hands in yet another Spider-Man-centric flick, a reveal that comes hot off the heels of the news that the Venom flick is officially happening. 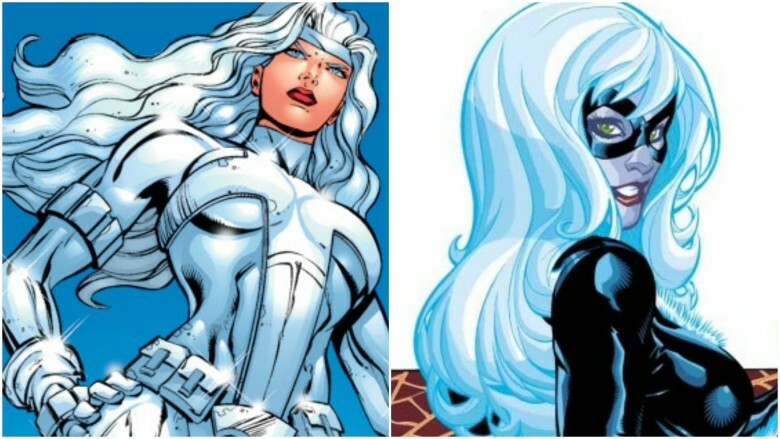 Well-loved Marvel characters Silver Sable and Black Cat (also known as Silver Sablinova and Felicia Hardy, respectively) are at the forefront of the upcoming film. Thor: Ragnarok writer Chris Yost will pen the official script. A previous draft was written by Lisa Joy, co-creator of the sci-fi fantasy series Westworld. No stranger to superheroes, Yost has also written for the animated series The Avengers: Earth's Mightiest Heroes along with Wolverine and X-Men. The two leading ladies appear within Marvel's Spider-Man comic universe, but they reportedly won't cross paths with Peter Parker in the film. What fans may be able expect, however, is Silver Sable in all her mercenary glory and Black Cat getting into plenty of burglary-related mischief. Perhaps Felicity Jones, the actress who briefly popped up as Felicia Hardy in The Amazing Spider-Man 2, will reprise her role. As with Sony's other superhero-focused flick, Venom, the company is still on the hunt for the new film. While we wait for more details, find out what really happened with what could have been the latest Spider-Man film installment.